It’s been a hot minute since a UFC fighter flunked a drug test. 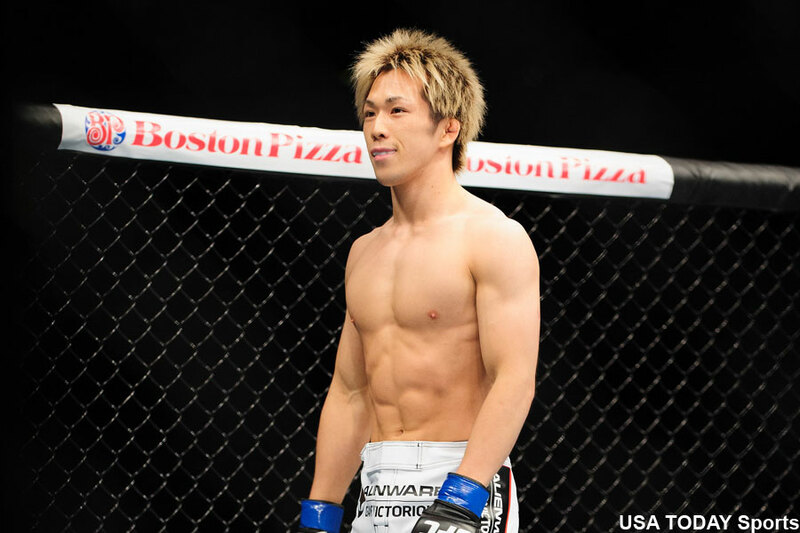 In steps bantamweight Michinori Tanaka (pictured) to bring back the normalcy. On Tuesday, the UFC announced ephedrine and pseudoephedrine were found in Tanaka’s pre-fight urinalysis in his split decision defeat to Kyung Ho Kang at UFC Fight Night 52. Because the event took place in Japan where there is no governing body for MMA, the UFC oversaw the show and hired an independent drug testing laboratory to perform testing on all athletes on the card. Tanaka has been issued a nine-month suspension retroactive to his September 20th fight date. He will also forfeit his $50,000 for “Fight of the Night” honors. No word if that money goes to Kang. “Ephedrine and pseudoephedrine are stimulants banned in athletic competition pursuant to the World Anti-Doping Agency (WADA) code,” the UFC expressed in a statement. “Based on such results, UFC officials decided that Tanaka had violated his promotional agreement and the UFC Fighter Conduct Policy. Accepting the accuracy of the test result, Tanaka has admitted to taking over-the-counter allergy medication prior to the fight, likely causing the positive result, and acknowledges the illegal substances were in his system. The 24-year-old owns a 10-1 professional record, but has split his two fights under the UFC’s banner.